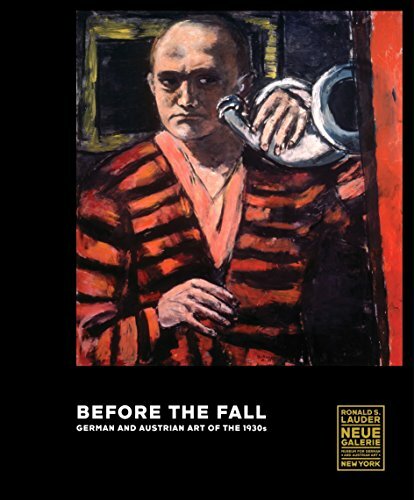 Before the Fall: German and Austrian Art in the 1930s est le grand livre que vous voulez. Ce beau livre est créé par . En fait, le livre a 288 pages. The Before the Fall: German and Austrian Art in the 1930s est libéré par la fabrication de Prestel. Vous pouvez consulter en ligne avec Before the Fall: German and Austrian Art in the 1930s étape facile. Toutefois, si vous désirez garder pour ordinateur portable, vous pouvez Before the Fall: German and Austrian Art in the 1930s sauver maintenant. This generously illustrated and comprehensive book examines German and Austrian artists in the 1930s as they reacted to a time of crisis and dissent. The 1930s in Germany and Austria were marked by economic crisis, political disintegration, and social chaos. This beautifully illustrated catalog surveys the development of the arts in these two countries between the two World Wars. Presenting nearly 150 paintings and works on paper, this book reveals artistic developments that foreshadowed, reflected, and accompanied the beginning of World War II. Works by Max Beckmann, Otto Dix, Max Ernst, Oskar Kokoschka, and Alfred Kubin are presented alongside pieces by lesser-known artists such as Friedl Dicker-Brandeis, Albert Paris Gütersloh, Karl Hubbuch, Richard Oelze, Josef Scharl, Franz Sedlacek, and Rudolf Wacker. This book features essays about the appropriation of artistic idioms, the reactions of artists toward their historical circumstances, and major political events that shaped the era.